Kim and I have blogged about some of the tools we use aboard the Oregon II like FSCS, CTD, Bongos and the Neuston. But what, you ask, are some other tools we use that are not high tech? 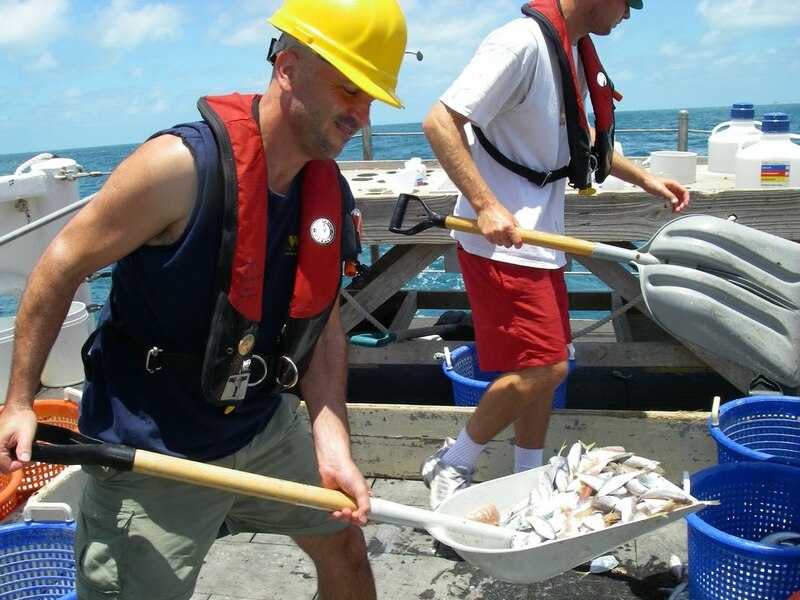 Believe it or not, shovels, baskets and trays are important tools on the ground fish survey. When a catch comes in the net is held by a crane and emptied into baskets, but a lot flops out onto the deck. We use shovels to pick up the rest. In the wet lab we use small shovels to move the catch along and trays to sort the organisms by species. (Check out the video below!) When it comes to identification paperback field guides and laminated posters can help with ID. Once we sort the catch, certain species have to be prepared and saved for research.Some specimens go to university scientists. 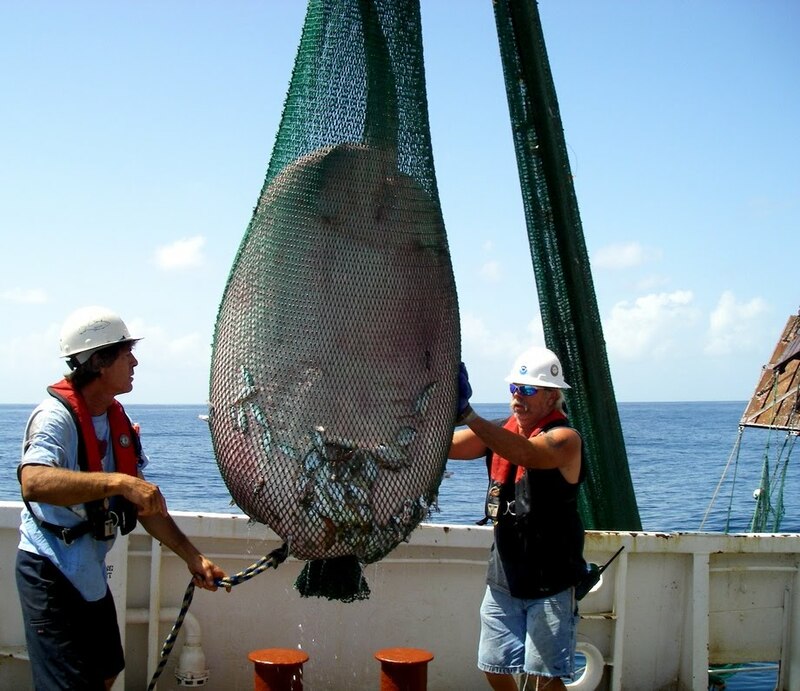 For example, we bag and freeze specimens of batfish for an ongoing research study. We’ve been seeing lots of cool stuff. 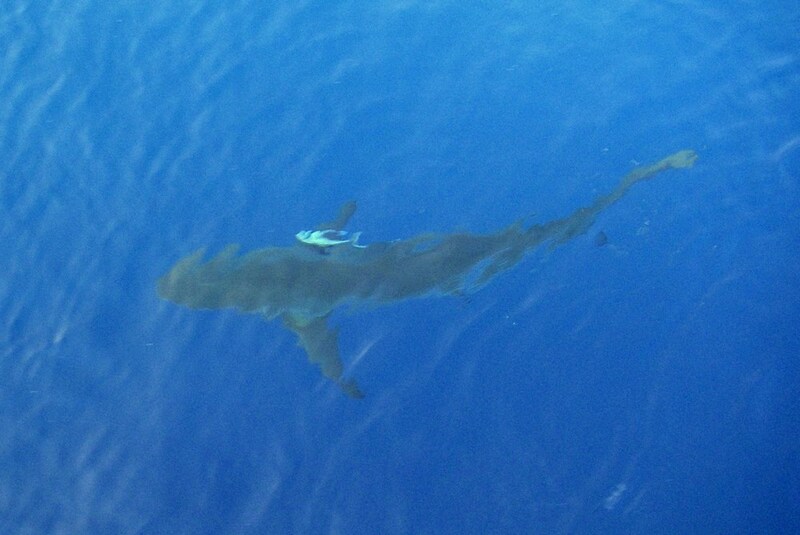 Yesterday we were trailed by a school of sharks for most of the day. 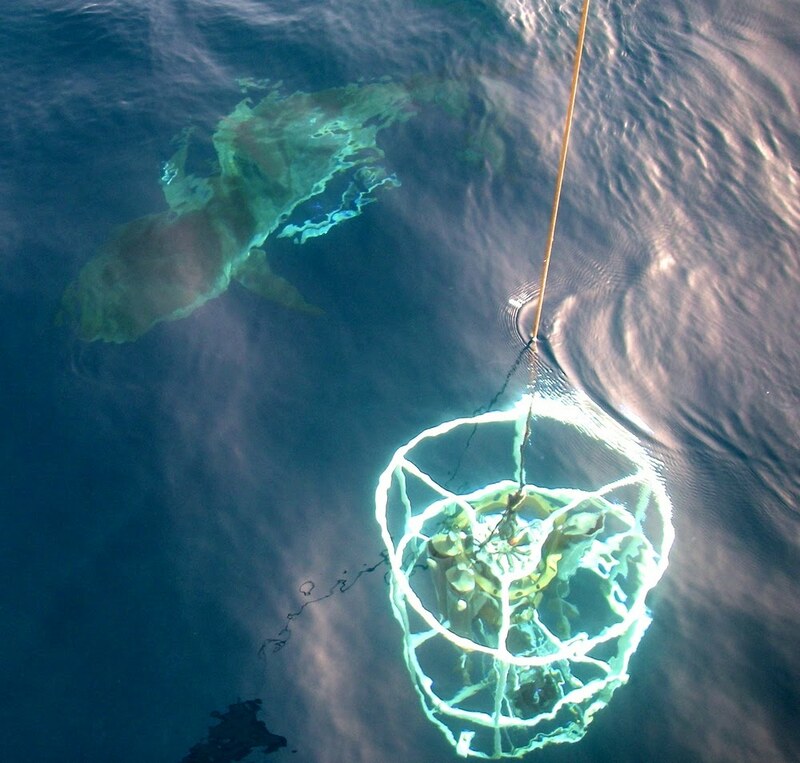 Here’s a shark circling our CTD. 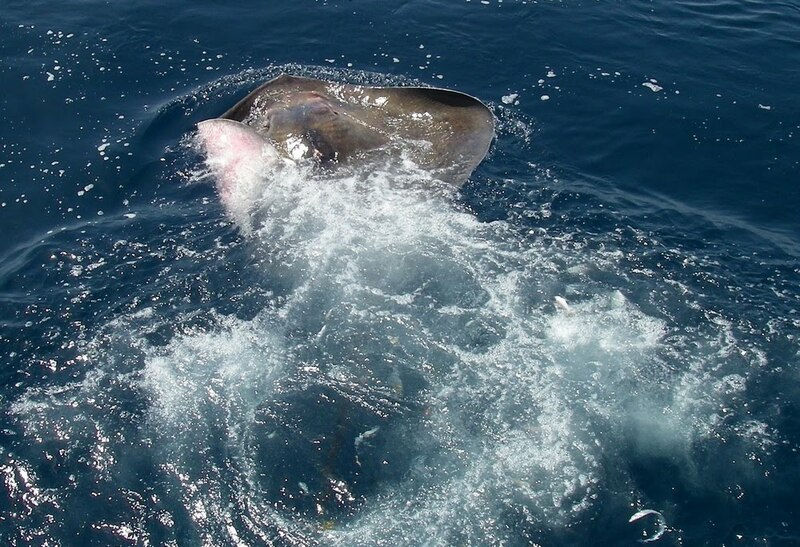 We also caught a large Roughtail Stingray, Dasyatis centroura, in our trawl. He swam away feeling fine. 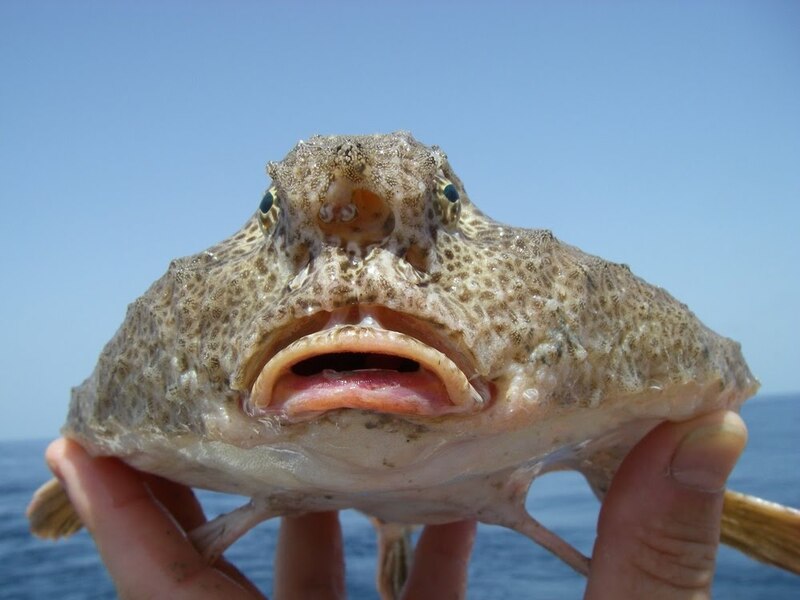 This entry was posted in 2010, Bruce Taterka, NOAA Teacher at Sea and tagged Gulf of Mexico, National Seafood Inspection Lab, SEAMAP, Slantbrow batfish, stingray, tools. Bookmark the permalink.